That much hilarious, nerdy adorable star power is enough for one person, let alone one family. That’s why our minds were completely blown when we realized they were hiding a third brother from us. 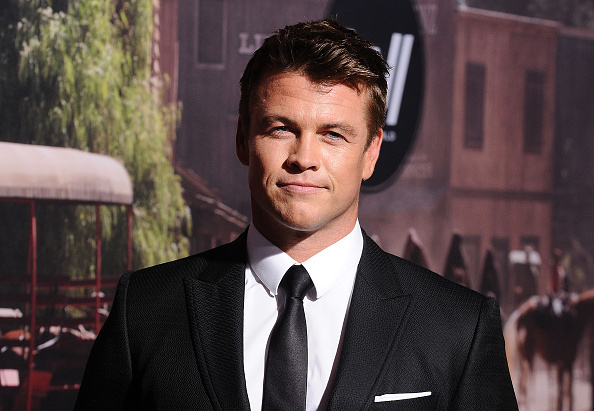 But as we looked further at this gorgeous third Hemsworth (or first Hemsworth? He’s the oldest!) we learned that that piercing blue gaze is only the first thing to crush on. First thing to love about Luke, he’s a total goofball and it’s kind of hard to find a serious picture of him. Third, he is kind of a family man and takes lots of adorable photos with his wife and kids. in a NY Post interview last year. However we couldn’t disagree more! Luke is our new favorite Hemsworth, and lucky for us we’re going to be seeing a lot more of him in the upcoming HBO series Westworld, which premieres TONIGHT at 9 PM!! We are so grateful for the Hemsworth family. How would we form crushes without them?